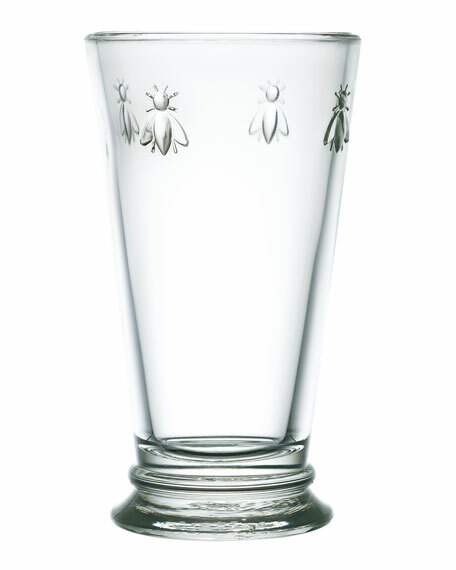 Glass highballs adorned with the Napoleonic bee. Set of 6. Each, 3.5"Dia. x 6.26"T; holds 15.5 ounces.